In this series, we present you a week full of news in a single article for your reading or scrolling pleasure. 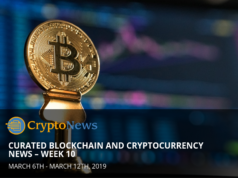 We’ve done our best to select the most relevant and interesting news topics of the past week published by various websites that are relevant to cryptocurrency, blockchain and also companies, finance, intellectual property, new brave steps by institutions and more. Walmart, one of the US’ largest retailers, is partnering up with IBM to combat E.Coli breakouts, focusing on leafy greens production. The reason for this is because outbreaks are most often associated with these types of plants. While it will not completely eliminate the risk, it will significantly improve response times for CDC units tracking down bad products, and eliminate the destruction of safe plants. In the case of an outbreak, this will also provide customers with relevant information about the products they are buying. Reuters wrote about it first on the 24th, and the story trickled down into Forbes‘ hands, whos writers then wrote two articles about the event. This partnership is massive for blockchain adoption for a single reason. Walmart is demanding that farmers comply, and is giving them 1 year to adopt information publishing on the blockchain, and works closely with other producers to incorporate it by the end of this year. Such demands have never been made before, and this will be a great use case for blockchain technology. 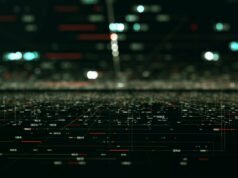 Social media is buzzing with suspicion, where people that can’t really see the benefits replying that there is no unique approach to using the technology here. And there is no unique approach. This is literally implementing what has already been created, and there are no inventions here, just brilliance born out of necessity. The speed with which bad product can be tracked to the source is unprecedented. Furthermore, this can spiral into other products and retailers, following Walmart’s lead in the field. Simply stated, this is the big chance that IBM has been working towards. One of the most popular tweets regarding this story was created by Marshall Kirkpatrick, who is optimistic that this solution will bring value to the market. He follows up by saying, “If this works, I can only imagine what a boost it will be for blockchain.” This is what we have aspired towards, to use the blockchain to crush the problems that were previously unsolvable. It seems the world is slowly, but surely discovering the spectrum of potential that blockchain technology opens up for human beings. This is also a story from September 24th which made news on the 25th, as the press release went mostly unnoticed for the duration of the previous day. The press release published on APnews, and Business Wire, informed the public of this collaboration. This was later picked up by smaller media outlets which provided the information to their own audiences. 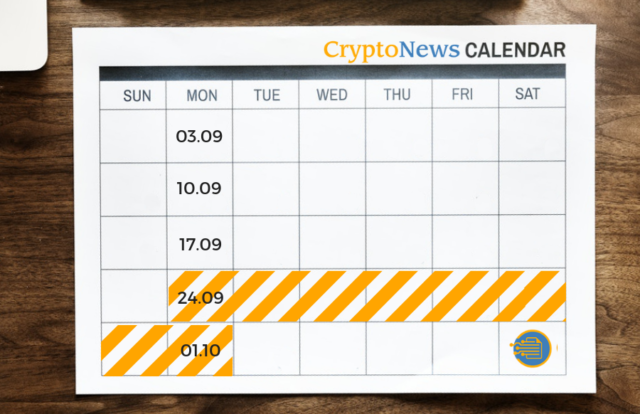 Binance’s Blockchain Charity Foundation has been mentioned before, especially notable during their negotiation and deal-making with Malta, to support the resolution of similar issues. A press release published on PRnewswire informed the public about AT&T’s plan to incorporate blockchain solutions to their enterprise offering. These tools will help companies automate and digitize business processes through the use of blockchain technology and help them solve complicated business problems. Additionally, they will enable them to leverage the internet of things and incorporate smart devices in their processes. AT&T see a real potential for implementing these tools in manufacturing, retail, and healthcare. The blockchain can help these businesses lower cost and risk; at the same time improving overall business processes. Particularly useful for dealing with intermediaries and agreements where transparency is extremely beneficial. From the looks of it, these solutions are privatized, meaning that a consortium is going to be responsible for the immutability part of the equation. There is always a risk that partners will try to pull one over on another, but in this kind of environment, where you can track down the fraudulent actions, it’s highly demoralizing for such thoughts to actually execute into behavior. FedEx, a major player in distribution channels well known for their overnight delivery promise, is joining hands with The Linux Foundation. They are not the only ones, but they are the biggest player among 14 companies that the foundation announced in a press release through PRNewswire. Hyperledger Executive Director Brian Behlendorf says, that the community is working towards attracting the type of companies that are industry leaders and can be dubbed technological giants. Conversely, they are also interested in getting start-ups, service providers, and academics on board with the project. Hyperledger is a business framework that consists of 10 different business and DLT tools that can provide value to businesses without limitation to an industry. In all things blockchain use cases tend to play a much larger role in the decision-making process to implement them, as developing these types of solutions is not cheap. And I’m not talking about the immutability and validation of data uploads, but rather the development of the system itself. There is a lot of controversy regarding consortium networks that do not produce cryptocurrency, with many describing them as lacking incentive. What these individuals fail to recognize is that companies can, for the first time collaborate with great speed and accuracy. By sharing information with each other, they are creating a string of retroactively immutable history, which can later be referenced in the case of dishonesty and fraud. In this avant-garde declaration from Austrian government setting the tone for the application of blockchain technology in such a process for the first time in history. Austria is pioneering and innovation with blockchain tech on the governmental level. The entire procedure falls in the hands of Oesterreichische Kontrollbank (OeKB) who take sole responsibility for the issuance. The plan is to use a public blockchain solution based on Ethereum. This solution has already been tested by the bank and will be incorporated on this following Tuesday, or at least those were the initial parameters. This bank already performs a lot of auctions on behalf of a branch of the government responsible for dealing with debt in the republic. Listed legal entities that are publically traded on the National Stock Exchange of India (NSE) will be able to soon incorporate blockchain processes in the communication with the platform involving their stock operations, as reported by the Hindu BusinessLine website. This program will enable the tokenization of voting rights and connect all relevant stakeholders using blockchain technology. The company, the registrar, and the regulator will be connected through this pilot program. There are massive benefits, and everyone involved is excited to use the technology to gain easy voting transference, enable voting proxies, and clear, transparent auditing procedures (especially the regulator get excited about these) which will prove the power of DLT to bring about positive change. According to an article published on Hindustantimes.com the National Institution for Transforming in India NITI Aayog, partnered up with Oracle, Apollo Hospitals, and Strides Pharma to eradicate fake medicine country-wide. Leveraging supply chain management and blockchain technology, they will enable everyone involved from producers all the way to the final consumer to contribute to the legitimacy and security of medicine in the country, and eventually worldwide. The methodology is simple on the surface, and of course, hosts a complex solution beneath the obvious QR code, but in essence with the addition of a few steps, a significant amount of risks are eliminated. This is a similar story to the one detailed regarding Walmart above, and while it does not eliminate the risk completely, it does provide people with a frame of reference for the products they use. In essence, anybody caught cheating the system would be committing a crime, or at least admitting to having committed one. In theory, this limits the error to a single point in the supply chain, which is the producer, as they are the primary source of information on the blockchain. Creating false information is self-sabotage and against the manufacturer’s interests. Implementing this solution will enable consumers to check the quality and source of products. Other benefactors in the supply chain include distributors, pharmacies, hospitals which will now have the ability to truly check the authenticity of drugs using a clean, simple, cost and time effective solution. The blockchain company Ripple Labs has started a program with the goal to provide education and financial inclusion to participants. The public discovered through a press release on a website called the BlockTribune. The company is committing $25 million to the program, but allocation still hasn’t been decided. They are most likely to be used to facilitate education in the field of science, technology, as well as blockchain and FinTech. They are using this to position Ripple as a major social impact player that believes in the far-reaching and encompassing potential of blockchain technology. According to Ken Weber, Head of Ripple’s Social Impact, expresses the desire to ensure these latest innovations are available to everyone around the globe. Ripple for Good will be working with a similarly named non-profit, RippleWorks. Together they hope to successfully promote goodness, financial inclusion, and education. RippleWorks has already worked on over 60 projects in 55 different countries. They have improved the lives and lifestyles of about 259 million people around the globe. We are not aware of the work or the impact that this company had over the above-mentioned people. We couldn’t find any additional information, but if you do manage, please let us, and the other readers know in the comments. 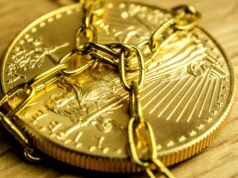 “There is no new unit created formally in RBI for the purpose (Blockchain, Crypto and AI) mentioned in RTI query.” Following the issuance of a suspicious article published by Economic Times, Naimish Sanghvi, Coin Crunch’s founder reached out to the central bank and got the above-quoted response. Lyon, France is the host of the Blockchain Game Summit, where several companies have decided to join the Blockchain Gaming Alliance. Among the largest names there is Ubisoft, and that says a lot. Such a step from a company to act in association with blockchain organizations gives promise that they are looking into leveraging the technology to create a game. 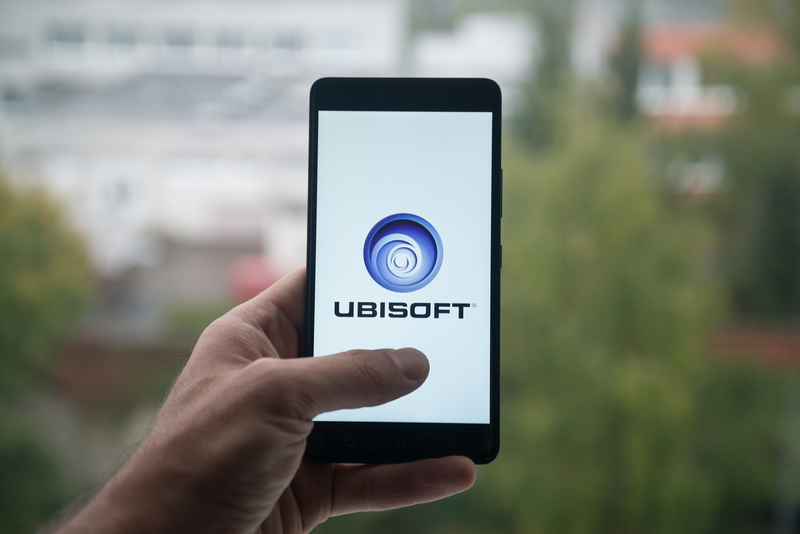 If Ubisoft is creating a game on the blockchain, then you know it’s going to be a money-maker. There are other companies that joined the alliance, and you can read about them in the information found in the original event coverage article. This should bring a lot of value and innovation to the gaming ecosystem, ranging from the players all the way to hardware manufacturers. They want to create an information sharing platform where research can be shared easily and responsibly. It seems that Austria is not satisfied with only one push to incorporate blockchain technology. They seem to be feeling some sort of pressure to get started in the ecosystem and leverage the technology. The Austrian National Tourist Office (ANTO) is literally making history, as it is the first national tourism institution to incorporate blockchain technology. They hope to lower fraud and eliminate unnecessary costs to the budget through the execution of this partnership with the blockchain company called AdBank. Up to 70% of costs can be eliminated using their solution, or at least that’s what is being promoted through the press releases that told this story to the public. Founder of Beijing-based VC BitFund, as well as popularized Bitcoin investor, Li Xiaolai, has issued a statement that he will no longer invest in Blockchain projects. Also covered by CCN, this discovery is surprising, considering the number of capital gains that this individual has gained through his involvement with crypto and blockchain. This only goes to show that not everything is involved with money. He claims to have been associated with many projects without his knowledge, so his name should definitely be ignored when projects decide to use it. He claims that he needs time to contemplate the next steps, but does not explain the reasons behind his dismissal and sudden disinterest in blockchain technology. He only says that his plans are to take a few years and contemplate his life and career change. For speculation about his reasons, you can read the other articles. I say leave the man make his own decisions. Actually, we have no choice, he will 100% not listen to any suggestions or pleas. He is a billionaire after all. 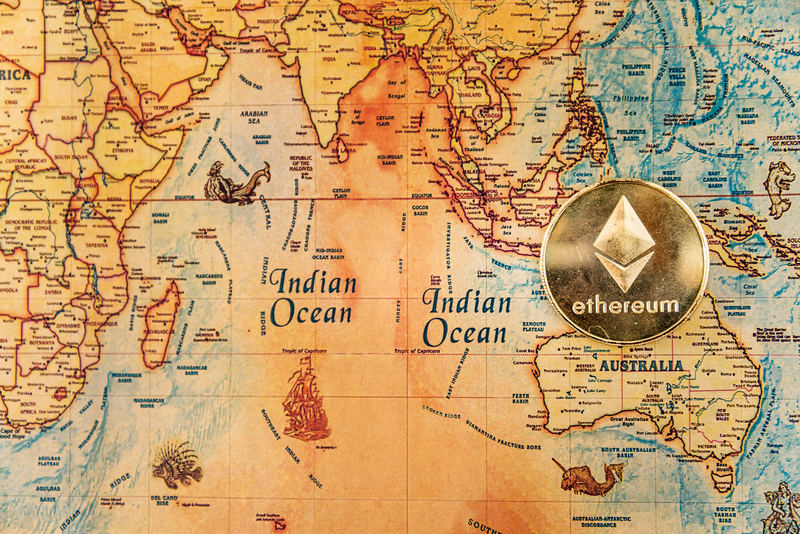 Joe Lubin, co-founder of Ethereum, has claimed an equity stake in DrumG Technologies, as reported by Forbes. The $6.5 million investment provides Mr. Lubin with a minority share of the company. The investment is made through ConsenSys a blockchain startup in Lubin’s ownership, but the most interesting part is that the company he bought into is lead on the senior level by executives that come from a strong consortium rival R3. Most likely this is Yakuza-based tactics to generate presence during board meetings and extract valuable information regarding the operations of the company, and hopefully, something about R3 leaks out as well. Safe to say, his presence there is a danger and will increase the tensions in the boardroom, with most people trying to avoid talking about sensitive topics. 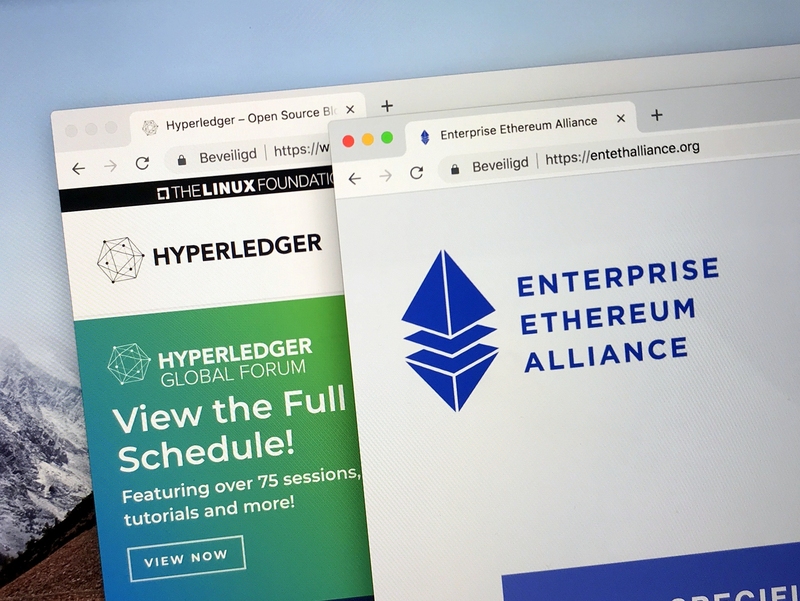 Forbes reported on the collaboration between Hyperledger and the Enterprise Ethereum Alliance to create a new framework. The details regarding this collaborative framework are unclear, but Hyperledger has been known to source incredible amounts of value through their solutions. One thing is certain, they have joined hands with EEA and are now collaborating closely, most likely to drive up blockchain adoption among enterprise and even smaller companies, and to facilitate collaboration between the varying developer communities. Ron Resnick, the executive director of the EEA believes that this is a great opportunity, and that collaboration through a mutual membership generates the necessary situations to facilitate closeness and partnership between the organizations. Which story did you find most important this week? Are there interesting stories we’ve missed, or developing stories you’d like us to take a look at for the upcoming week? Let us know in the comments below.